The beauty of living in a house is often that you have a garden and all the things that a garden brings. I am talking about plants, flowers, a rockery perhaps, even a fish pond. If you live in an apartment, you will know that outdoor space is something you wish you had. When the days are sunny, sure, you can sit on your balcony overlooking the street. But is not quite the same as being in a nice, calm, green patch to call your own. 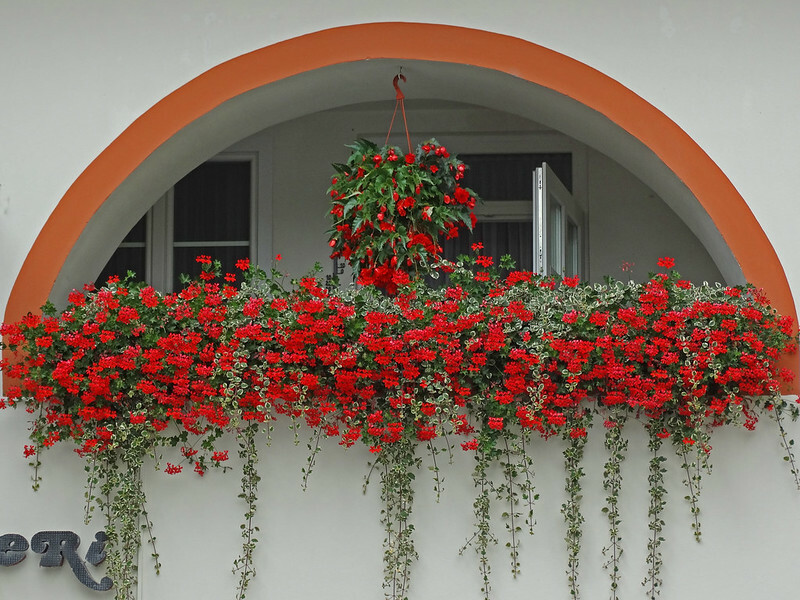 Well, with these useful ideas, you can create your very own mini-garden on your balcony! Having neither grass nor soil is not a barrier to having a beautiful outdoor area to relax in when cabin fever takes hold of you. There is a wide range of options for being able to surround yourself with colourful bright flowers and lush green plants. Most obviously, you can go with potted plants. These are available almost anywhere and can provide a low maintenance and fast change of scenery for your outdoor space. There are lots of options when it comes to planters. 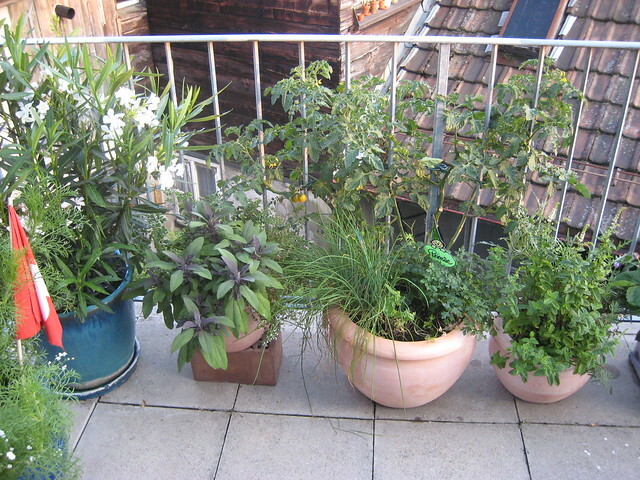 You can have them on the floor and in them you could choose to grow herbs such as mint or even small vegetables like tomatoes. You can get planters that attach to your walls if your floor space is at a premium. If you are lucky enough to have a large balcony, you may want that feeling of having green grass to look at. If so, think about something like Multiturf, which is artificial grass that is suitable for many things. One lovely feature that is more and more common in modern gardens is lighting. There are all kinds of garden lights to buy. It could be solar powered lamps that charge during the day and give off a warm glow in the evenings. If you like to go a bit more primal, you could look into large free standing torches that work with real flames. But we are talking about balcony space so it is unlikely you will have the room for anything quite so fancy. But that is not to say you have to miss out this contemporary trend. 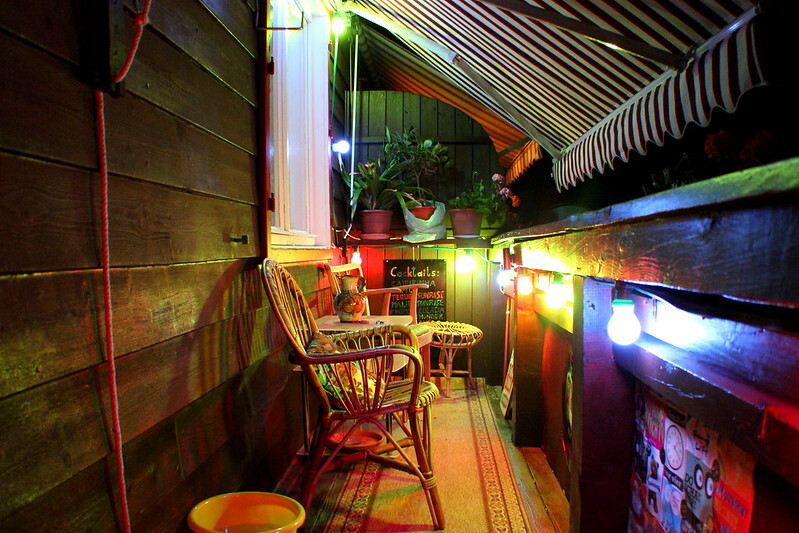 Fairy lights are an excellent way to add a level of ambience to your balcony. They are cheap and easy to set up. Just drape them around the walls, or have them weaving through your plants for a very cosy feel. Another option is tea lights. These small candles can give off a decent amount of light and heat if there enough of them. 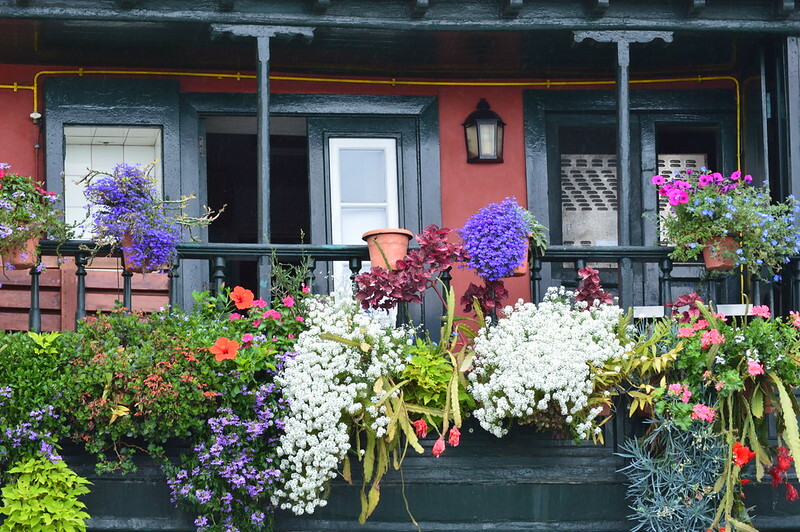 Be careful with using flames on your balcony, though, you want it to look bright and colourful, not black and scorched! Now that you have these suggestions, I hope you feel inspired to go off and do something with your outdoor area. With not much effort you can soon have a tranquil oasis of calm, all you need to do then is put on your favourite music and relax!